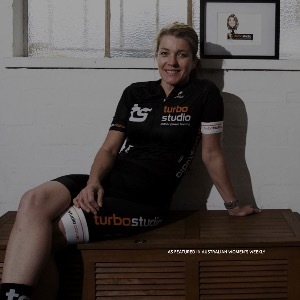 Founded by Professional Cycle Coach Joanne Palazzetti, Turbo Studio is Sydney's first all round cycle training and coaching facility for cyclists and triathletes. Our one to one Cycle Coaching service is just that, one to one. Every plan that leaves our desk is built for the individual athlete and the attention you receive throughout your training duration is as focussed as day one. Your satisfaction and training and racing progress is a direct reflection on us. A Level One Cycling Australia Accredited Coach, Joanne Palazzetti oversees more athletes through Turbo Studio's indoor training facility as well as one to one Coaching service along with Turbo Studio's outdoor training squad. With over fifteen years experience in the cycling industry, the footprint Turbo Studio has now secured within the Sydney cycling community is strong. With a history in coaching juniors, squads and individuals as well as conducting training camps and cycling holidays in France, Italy, Asia and Australia, Joanne's enthusiasm and passion has never wavered. Joanne's philosophy on training is 'your athlete has the most to teach you about what works and what doesn't, keeping in mind that what works for one doesn't always work for another'. With the increased awareness of power meters in the market place cyclists are progressively riding better than ever and competition in the race field is becoming tougher. Keeping training real and considering all the variables that an athlete has to juggle in day to day life is something that is often 'headlined' on coaching websites but never truly played out. Another aspect of training that Joanne often sees overlooked by athletes is rest and recovery and that is generally one of the main points of focus in the early days - steering athletes away from the 'overtrain' method. Word of mouth from coached athletes has seen to this section of Turbo Studio grow rapidly. Success. Coach Joanne Palazzetti has been notified of your message.